Click here for a list of all AFPE Fellows. AFPE fellow and mentor, Dr. Philip Empey is the Associate Director of the Pitt/UPMC Institute of Precision Medicine and directs the Pharmacogenomics Center of Excellence in the School of Pharmacy at the University of Pittsburgh. He leads the PreCISE-Rx and Test2Learn teams to implement pharmacogenomics clinical, research, and educational initiatives. Dr. Empey’s current research in precision medicine began with his interest during his residency training in providing care to patients who didn’t have the expected responses to medications. In Pittsburgh, Empey and his colleagues implement genetic testing in practice to provide help clinicians to optimize drug therapy. As an example, Dr. Empey explains that after undergoing cardiac catheterization, patients are given medications to keep their stents open and prevent repeat cardiac events. The most commonly used medication, clopidogrel, is understood to be less effective when an enzyme that is necessary to turn the drug on is ineffective in a particular patient. With the genetic testing offered, clinicians can predict which patients are poor metabolizers, and proactively prescribe another drug, rather than relying on trial and error. Dr. Empey explains that it is his hope that as pharmacogenomic testing becomes more commonplace and done pre-emptively before the data are needed at the point of care. The overall goal is that patients will more quickly receive medications that work for them, rather than spending time and money experimenting with drugs that may be ineffective or produce side effects. As a mentor, Dr. Empey frequently encourages his mentees to apply for AFPE fellowships. He notes that AFPE awards allow students to focus on their research, rather than relying on a teaching assistantship or an external job to fund their studies. Dr. Empey mentors undergraduates, pharmacy students, and graduate students, and works to foster independence and high-level thinking among his mentees. He highlights the importance of fellows training new fellows and giving back and credits AFPE with playing a role in his current success. Dr. Kerry Empey credits her AFPE fellowship with providing her the opportunity to focus on clinical and translational research as a graduate student. Dr. Empey’s interest in clinical research was born of her PharmD program at the University of Rhode Island, and her residencies in both Pharmacy Practice and Infectious Disease at the University of Kentucky prior to her PhD work. During her residencies, Dr. Empey worked with bone marrow transplant and oncology patients who were unable to rely on antibiotics and became determined to improve their disease outcomes through immune modulation. At the University of Pittsburgh, her research shifted to a focus on Respiratory Syncytial Virus. This research became personal for Dr. Empey when her infant twins were both diagnosed with RSV, one of which went on to develop chronic wheezing, which is commonly associated with severe RSV disease in infancy. Her research explores novel maternal and infant RSV vaccination strategies and resulting immune responses to subsequent infection as well as age-dependent differences between adults and neonates in vaccine modulation. 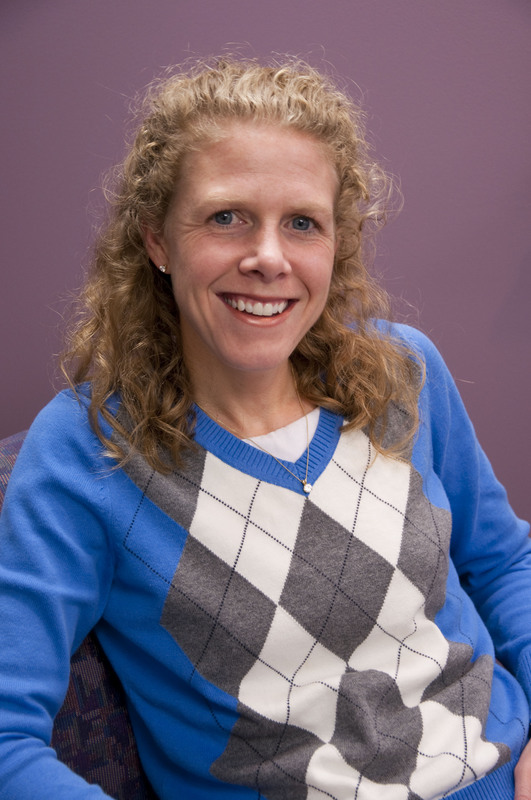 Alongside her role as a researcher, Dr. Empey has mentored several AFPE fellows. She explained that AFPE is “near and dear” to her heart, because of the significant role it played in her development as a researcher in graduate school. She now encourages her students to apply for AFPE fellowships. As a mentor, Dr. Empey says she emphasizes student independence, initiative, and ownership of their research. She works with her mentees to effectively communicate their research aims and impact to the wider scientific community and noted that her mentees who receive AFPE awards also go on to receive numerous other fellowships and awards. In closing, Dr. Empey shares that she is most proud to pass along the skills she learned from her mentors, Dr. Beth Garvy and Dr. Robert Rapp, and to give back to the current generation of student researchers. Nathaniel Rickles describes the funding he received as an AFPE Pre-Doctoral Fellow as instrumental in forming his career. Rickles trained as a psychiatric pharmacist and then went on to earn a PhD in Social and Administrative Sciences from the University of Wisconsin. As a PhD student and AFPE Pre-Doctoral Fellow, Rickles researched the role pharmacists play in monitoring patient medication adherence, focusing specifically on adherence to anti-depressant medication. He describes this research as formative to his career, noting that he has recently returned to the very project he worked on as a Fellow as an Associate Professor of Pharmacy Practice at the University of Connecticut. Rickles’ research is grounded in his understanding that community pharmacists have the opportunity to significantly impact patient health by working with patients to improve medication adherence and overall wellness. Rickles describes the relationship between pharmacists and their patients as often mired by what he refers to as a “black box of communication,” something he attributes largely to the heavy work- and patient-loads many pharmacists juggle. Nevertheless, Rickles is optimistic that a more collaborative communication strategy between patients and pharmacists—one which emphasizes patient agency—is attainable. He emphasized the importance of patient agency in this collaboration, stressing that pharmacists should prioritize tailoring their methods of communication to each patient’s needs (offering consultations in person, or via phone/email. )He lists developing a large scale systemic approach to creating consistent and effective communication between doctors, pharmacists, and patient, which spans from “bench to bedside” as the primary goal of his career. When asked what advise he would offer current AFPE fellows, Rickles suggested “doing a lot of homework” to discover what one is truly passionate about solving, and understanding the different perspectives from which that problem can be approached. He added that involving as many stakeholders as possible opens up new perspectives, and makes one’s research more efficient and one’s solutions stronger. He noted that experts will often focus on one paradigm in their efforts, unintentionally closing off possible solutions. Rickles noted that he prioritizes regularly donating to AFPE to give back for the support he received as a graduate student, and called upon other fellows to donate because advancing the profession is contingent upon financial support. In closing, Rickles added that while he has received funding and grant money from various organizations, his AFPE fellowship had the most significant impact on his career. As an undergraduate, Kristin (Kristi) Bigos was pre-med until she had a summer job in a lab at the University of Pittsburgh. Kristi saw research as more challenging; affording more opportunity ultimately to change outcomes. She chose to pursue a PhD in Clinical Pharmaceutical Sciences, melding the translational aspects of investigating new treatments in the lab with actually working with patients. In high school, Lisa Benincosa admired the work of her local pharmacist and thought the field would be challenging and well-respected. While receiving her bachelor of pharmacy degree from West Virginia University, she participated in a six-week summer research project, much like the opportunity offered by AFPE’s Gateway to Research Scholarship. This experience inspired her to continue her education and pursue a PhD. in pharmaceutical sciences from SUNY at Buffalo. Her AFPE Pre-Doctoral Fellowship enabled her to complete her degree. Phil Douglass is at the intersection of science and business. As a leader in Agilent’s Genomics group, his business appointments take him to points across the U.S. and in Latin America, traveling extensively to partner with thought leaders in genomic research. With more than twelve years at Agilent, Phil is responsible for managing a team of product specialists who sell and support the company’s genomic product portfolio in the clinical research marketplace. He possesses the scientific background to guide researchers in the proper use of genomic tools such as microarrays, Next Generation Sequencing (NGS), advanced instrumentation, software, and other solutions that are crucial in the understanding of disease and in the development of new cures and treatments. MH Adams & Associates, Inc.
Who could have guessed that Marijke Adams’ first real job as a teenager working in a drug store would ultimately lead her to a rewarding career as a pharmaceutical scientist? During that first job, the pharmacists trained her as a pharmacy technician, and in 10th grade Marijke decided that she wanted to go to pharmacy school. After working as a hospital pharmacist for a few years and discovering that she loved teaching when she had the opportunity to help a friend teach pharmacology for an allied health professions class, she grew restless and knew it was time to pursue further education in the field. With a strong aptitude for science and math, Michael became interested in pharmacy as a potential profession during career day in high school. Later, while attending Duquesne University in the PharmD program, Michael received an AFPE – ASHP Gateway to Research Scholarship in 2005. The research he conducted with Aleem Gangjee, PhD, Professor of Medical Chemistry, exposed Michael to research with tyrosine kinase inhibitors, which have in the years since become an important therapy in caring for patients with cancer. From this experience, Michael knew he wanted to pursue a role in oncology. What do you get when you mix biology and chemistry? For Alice Clark, it’s inspiration. Clark’s distinctive curiosity led her to attain a PhD in pharmacognosy, made possible by an AFPE fellowship. More than just the funding, AFPE’s support was a statement of others’ confidence in her abilities that would instill in her a strong dedication to the pursuit of scientific research – and the desire to help others achieve the same feeling of purpose and support. Dan Hertz learned from his mother that he would be better able to take advantage of tomorrow’s opportunities if he made each day count. After she died of breast cancer, he committed himself personally to a career in cancer treatment and care. Inspired by hearing Dr. Judah Folkman speak at a conference, Dan realized the power that one person can have on improving patient care. He chose the pharmaceutical field to follow in the footsteps of his father, who owned and operated an independent pharmacy.